Very very nice. Have a 60 Dart Seneca Wagon that I hope to restore one day, hopefully soon! is this a 318-V8 poly-Head? Thanks for the comments. I should have added some info a long time ago but here it is. This car grew up in Montana after being purchased in southern California. It was a one owner car until I got it back in 1983. It was abandoned in a Chevy dealership in Miles City Montana when the transmission failed. It had just over 100K miles on the clock. It was rust free and only needed minor dent removal and was repainted with the original Vermillion Red lacquer paint. This car has most of it's original equipment as far as the original 318 Poly V8 with 4 bbl carb. The original push button 3 speed torque flyte transmission was stuck in 3rd gear and the owner was told it could not be repaired as no parts were available. All of the stainless has been restored as well as the bumpers re-chromed. 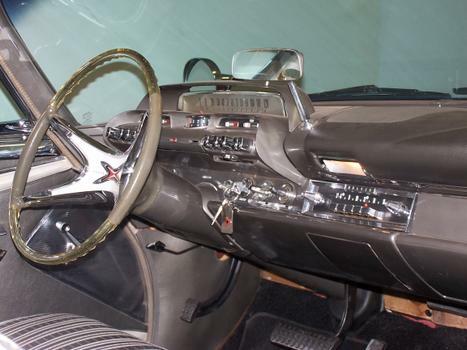 The Interior,glass, mirrors, wheel covers, door panels trunk mat, carb, starter and generator are all original to this car. The headliner has been replaced with panels from a station wagon as the original foam covered cardboard absorbed moisture and could not be saved. It was a bad design so no one has stepped up to copy it. 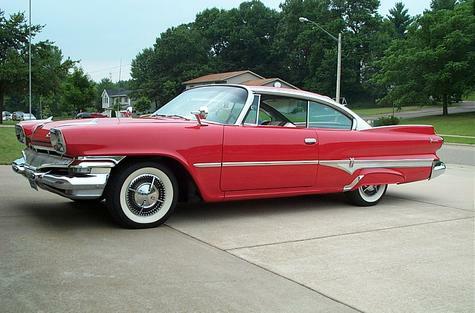 The information I have on these cars is that the 60 Dart was Dodge's first experience with building Unibody cars. It is smaller than the full sized Dodge 122" wheelbase with 118" base and was called "Intermediate sized". The intermediate Dart was built in 1960 and 61 only. 1962 Darts were shrunk up to compact size. The 60 61 Darts could be bought in 3 different models. Dart Seneca was the cheapest line with Pioneer in the middle and Phoenix being top of the line. 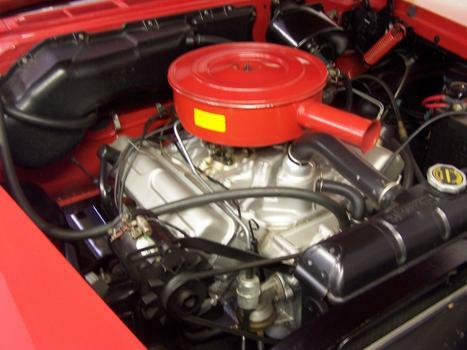 Available engines varied from the slant six to 318, 361 and 383 V8s. The D500 cars had 383 V8 with dual 4 bbl carbs. 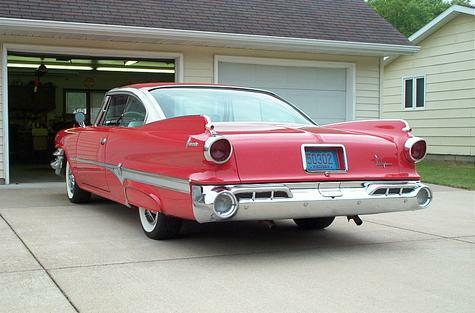 The numbers on my car show it was number 6200 of 66,608 Dart Phoenix cars built in 1960. Most of these cars rusted out within a couple years due to the Unibody lacking galvanized metal and no rust proofing technogoly. When I checked DMV registries in 1989, there were 1149 1960 Phoenix cars registered in the USA. 16 in Wisconsin. No breakdown of whether they were 4 door sedan, 4door hardtop, 2 door hardtop 2 door sedan, Convertible or Station wagon or engine size. There could be more or less of them now in 2011.